Home Blog How will NEST Insight’s sidecar savings trial work? On Monday 12 November, we launched our sidecar savings trial. Over the coming months, the trial will be rolled out in a number of UK workplaces, and employees will begin to make contributions towards the start of 2019. So, how will it work exactly? In this blog Matthew Blakstad, our head of research, talks us through the finer details and workings of the trial. Question: For workers using the sidecar model it will feel like they’re using a single savings tool. But, underneath the surface there are two distinct savings jars: an accessible emergency savings account and a traditional defined contribution pension pot. How are the contributions distributed between the two? That’s absolutely right. Rather than having a separate pension pot and emergency account, this hybrid approach combines the two. Doing so enables the flow of money to be managed in a smarter way that fits more naturally with people’s financial lives and preferences. The idea is that this approach will help to create a better balance of shorter and longer-term savings for each individual saver. For workers, it’s also an easy and straightforward savings tool to use. A large part of this simplicity is thanks to the payroll mechanism that enables a regular flow of contributions to be split between the two pots. Once an individual has signed up and agreed to pay in an extra amount each month, on top of their normal auto enrolment contributions, the rest is done for them. So whilst they’re busy with work and home life, their emergency savings pot will be steadily building up so it’s there ready for them when they need it most. And, if they reach the savings cap, they’ll then start saving more for retirement. To start with, contributions paid into the combined account structure would at first be distributed between the emergency savings account and the pension pot. The workers’ normal pension contributions will carry on going into their pension pot as usual, and the extra amount they’ve contributed will go into the emergency account. 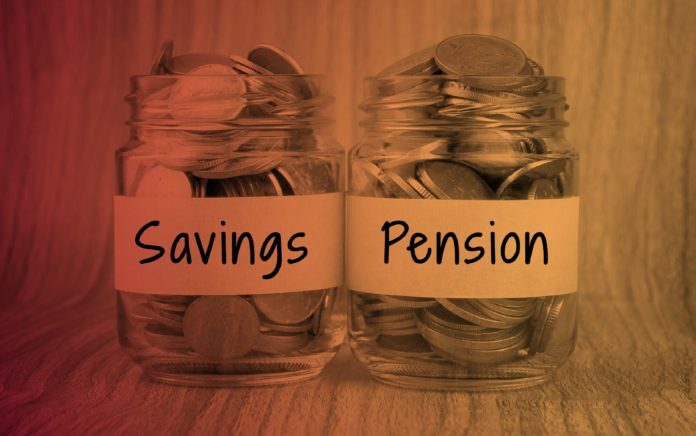 When the balance in the emergency savings account reaches a predetermined threshold level, known as the ‘savings cap’, all of the contributions will start rolling into the pension pot. So at this point, the worker will be putting more money aside for their retirement. If at any point the saver withdraws money from the emergency savings account, and so reduces the balance to a level below the savings cap, future contributions will once again start being divided between the emergency savings account and the pension pot, in the same way as before. Question: How much extra will workers need to contribute in order to use the savings tool? That will depend on the employer. When we asked consumers during focus group research, people tended to say that they’d want to contribute about £25 to £50 extra per month. Some workplaces may decide to set this additional amount at a specified level for all workers, such as £25 extra per month. 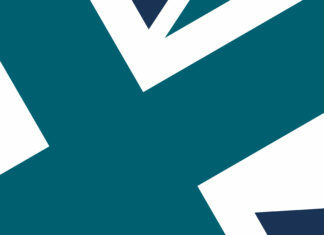 Alternatively, they may decide to offer everyone a range of choices, such as £25, £50 or £100. Question: Tell us more about the emergency savings account. At what level will the savings cap be set? For our research trial, the savings cap will be set at £1,000 for everyone. During the design stage, when we were considering how the trial might be structured, we conducted focus group and desk research into the types and costs of financial emergencies to help inform our decision. It’s really important to make sure that the savings cap is low enough to be a realistic goal for the saver, whilst also being high enough to help protect them against financial shocks. Of course, the trial may reveal that this level of savings cap needs to be adjusted. Over the next two years we’ll be looking closely to see how much people actually manage to save in the emergency account. This will help us make recommendations about how to set the savings cap in future sidecar-type products that may be available in the market. Question: Will there be any barriers to accessing the money in the emergency savings account? There won’t be a structural barrier to deter workers from using their emergency savings. Workers will be able to withdraw their money at any time, and for anything they deem ‘an emergency’. If we add barriers and restrictions that could slow down access and mean that savers resort to faster sources of borrowing, such as payday loans and credit cards. That’s exactly what we don’t want. Question: Will the balance in the emergency savings account attract interest? Yes it will. We’re currently finalising the exact details with our banking partner, but everyone paying into an emergency savings account will get a competitive rate of interest on their savings, compared to other savings accounts on the market. The key thing here is getting the right balance of accessibility and interest rate. Whilst less accessible types of savings products may offer higher interest rates, the most important thing for this account is that people can access their savings immediately and without restrictions. Question: Will savers be automatically enrolled into the sidecar savings trial or will they have to sign up? Any worker that wants to use the sidecar savings model will need to sign up. We’ll be working closely with participating employers to help them roll out an effective internal communications campaign to encourage workers to take part. Question: What do you think will appeal most to workers signing up to use the sidecar savings model? The focus group research we conducted earlier this year with the Money Advice Service provided us with some really interesting insights. As I touched on earlier, the idea of ‘having it done for you’ was really appealing to the savers we spoke to. Once a worker has signed up, the sidecar savings model takes care of everything automatically. There’s very little effort required to gain the benefit of having some emergency savings on hand. The peace of mind this would bring was also very attractive. Being more financially resilient, having a pot of savings for emergencies and being able to put more aside for retirement, was something that many liked the sound of. A further point that came across strongly in the research was the attractiveness of positioning the emergency account as an alternative to short-term, high-cost credit. The idea that the savings tool could keep them from falling into the hands of “sharks” offering expensive loans, really resonated with the focus group participants. Question: Can you tell us more about the new ‘Jars’ branding? Why won’t it be called ‘sidecar savings’ when introduced to workers? If you asked a person on the street what ‘sidecar savings’ are, I think they’d look at you blankly. For consumers, the phrase doesn’t mean anything. At NEST we believe that the use of clear, jargon free language is vital when communicating with consumers. That’s why we’ve decided to use a simple name and logo instead. This branding also fits with the idea of mental accounting. That is, our tendency to think of savings, or physically put our money, into different jars for different things. Whether that’s a jar for our retirement, a jar saving up for a deposit on a property or a family holiday, and another for emergencies. Question: And finally, how will you measure the impact of the sidecar savings approach? We’ll be working closely with participating employers to monitor the initial and longer-term behaviours and savings rates of workers. We’ll also track the groups through a series of re-contact surveys over the two years. The surveys will include measures to understand whether their financial wellbeing and likely retirement outcomes differ because of the availability of emergency savings. We’ll be releasing findings along the way, so keep checking back on nestinsight.org.uk, and follow us on Twitter and LinkedIn, to stay up to date. 1 Soman, D. and Cheema, A. (2011) Earmarking and Partitioning: Increasing Saving by Low-Income Households. Journal of Marketing Research. United States: American Marketing Association.